We all have that one item of clothing that we refuse to get rid of. The one we've had for years which has probably seen better days but we love too much to part with. It might be a hand-me-down, a patched-up rag or an item of clothing that has travelled the world with you, now Patagonia has launched a campaign to pay tribute to those items of clothing and push the brand's sustainability message. 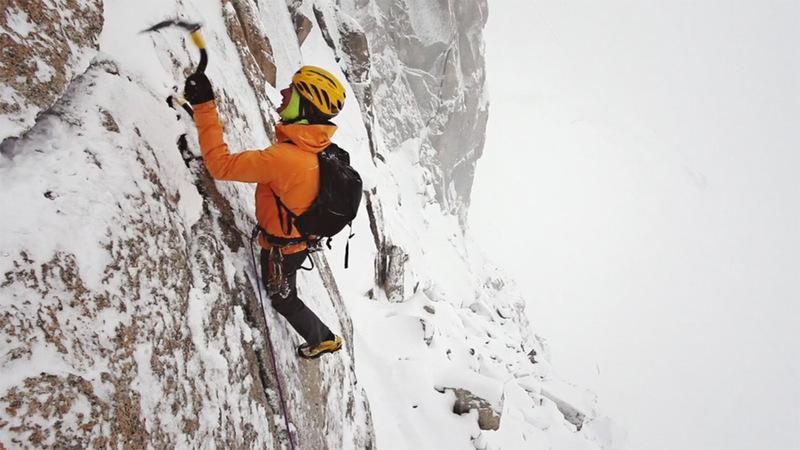 Patagonia / Worn Wear from george manzanilla on Vimeo. ‘Worn Wear’, is a film about the stories we wear. 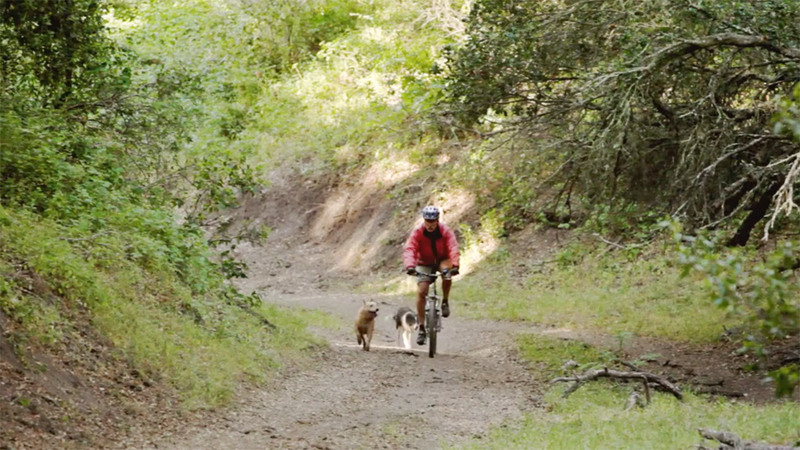 It is a celebration of the brand’s clothing and an ode to the quality of Patagonia’s products. 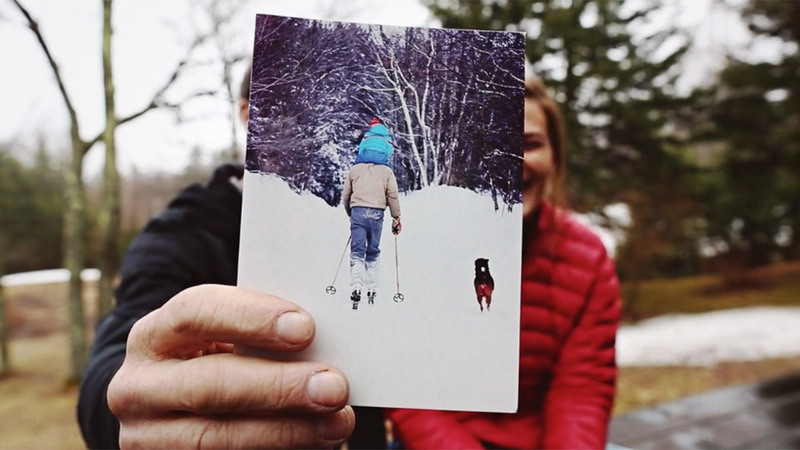 The film takes the viewer on a trip across the US moving backwards and forwards in time to showcase the life of its products and the stories of its items as told by the brand’s customers. 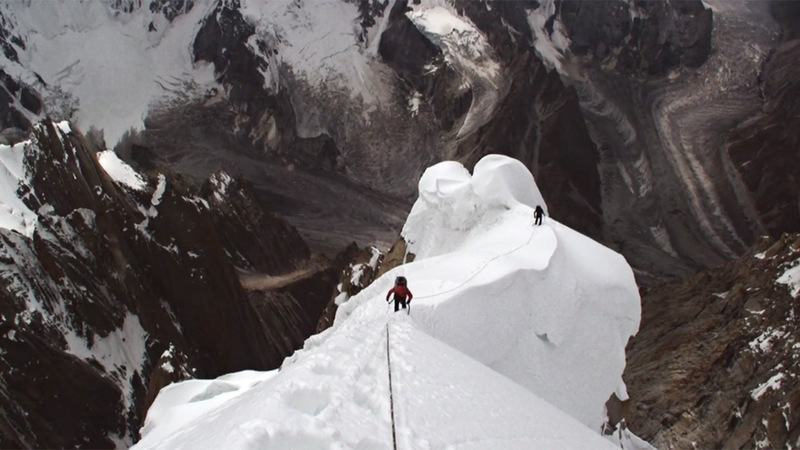 The 27-minute film travels to a surf camp in Baja, Mexico; a family’s maple syrup harvest in Contocook, New Hampshire; an organic farm in Ojai, California and into the lives of a champion skier, a National Geographic photographer, and a legendary alpinist. 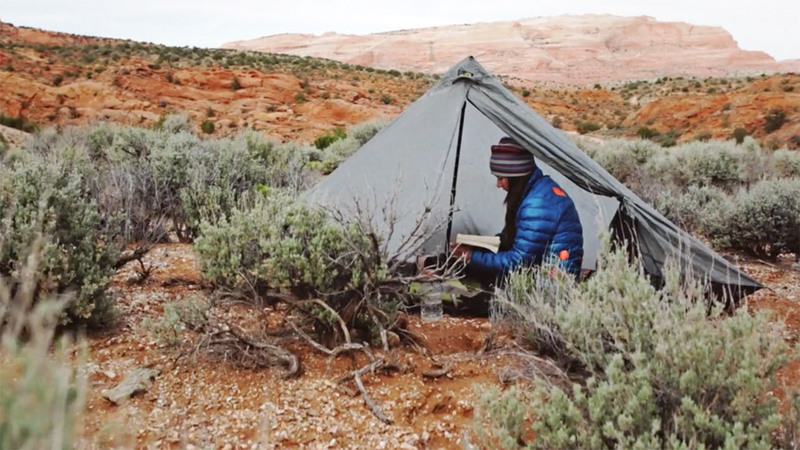 The film also features exclusive interviews with the founder of Patagonia Yvon Chouinard and his sustainability soundbites punctuate the stories of the clothing. In a further unique twist many of the beloved long-lasting items came to the storytellers second hand and had already had at least one other owner. 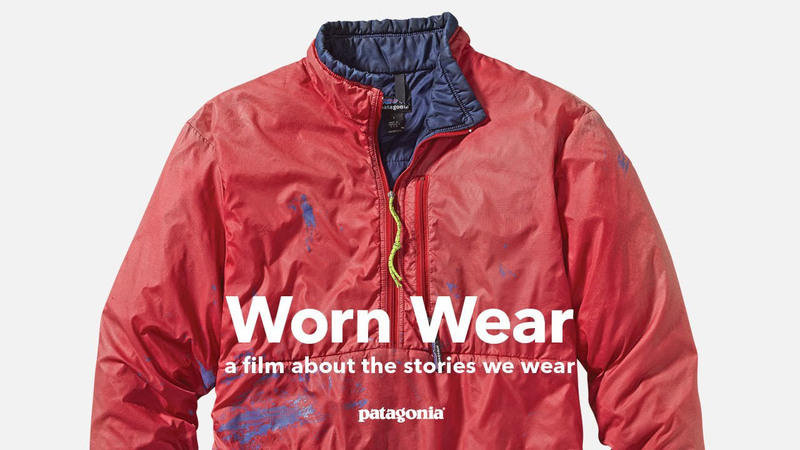 Released as an antidote to the US shopping and spending frenzy of Black Friday and Cyber Monday, ‘Worn Wear’ is more than a film it’s also a major initiative from Patagonia and is an invitation for people to celebrate the stuff you already own and the clothing that has stood the test of time. The campaign also includes a partnership with peer-editied repair manual iFixit, which will see it publish Patagonia Repair Guides. Patagonia is also selling ‘Expedition Sewing Kits’ for $30, which includes needles, threads and materials to extend the life of Patagonia products. This has to be one of the smartest strategies I have ever seen. It’s probably because there is such a genuine insight and philosophy behind the campaign. Patagonia’s founder is a strong believer in sustainability and has long championed this very notion of encouraging people to repair and reuse rather than throwing items away. Patagonia has form in this area too, in 2005 it launched the Common Threads Initiative, which invited customers to pledge to only buy what they needed and reuse what they didn’t. The company went one further by buying back its used products from customers to resell in store and encouraging consumers to recycle. Launching a repair guide and sewing kit was the logical next step for the company. So what kind of a company encourages its customers not to buy more of its products but to repair what they have? A very, very smart one. At a time where every brand is trying to flex its sustainability message, along with all its other CSR credentials, it’s getting harder for consumers to distinguish between the genuine and the spin. For a brand like Patagonia, which really does try to live and breathe a sustainable message this is a statement of proof. They are standing apart from all of their competitors and fellow retailers at the biggest spending frenzy of the year and saying stop buying things that you don’t need – even if that’s our products. It’s brave and it’s brilliant. More than ever people want to buy into brands and companies that stand for something and truly demonstrate a culture. Patagonia are sending a message to the marketplace that they are so serious about sustainability they don’t want you to buy a new jacket, they want you to mend your existing one. Obviously there is still a commercial element to this message and to Patagonia. This is concious capitalism at its best. This philosophy and positioning aims to win over people and will encourage them to spend money with the brand because they believe in it. Also those sewing kits cost $30 and you have to go instore to get them and that also raises the likelihood of you picking up a thing or two whilst you are there. And of course coming up with such a strong message against the backdrop of the shopping extravaganza, which coincides with Thanksgiving, means media outlets are on the hunt for stories on traditionally slow news-days meaning there are excellent PR opportunities. For Patagonia though, this is about much more than just PR, this is a company that sells outdoor gear, climbing, trekking, camping etc. it’s very business model relies of people getting out and exploring the world, It is inexplicantly linked to the outdoors, to the environment and to the earth. So, for them sustainability is more than a buzz word it really is a way of life. It has to be their very business depends on it. 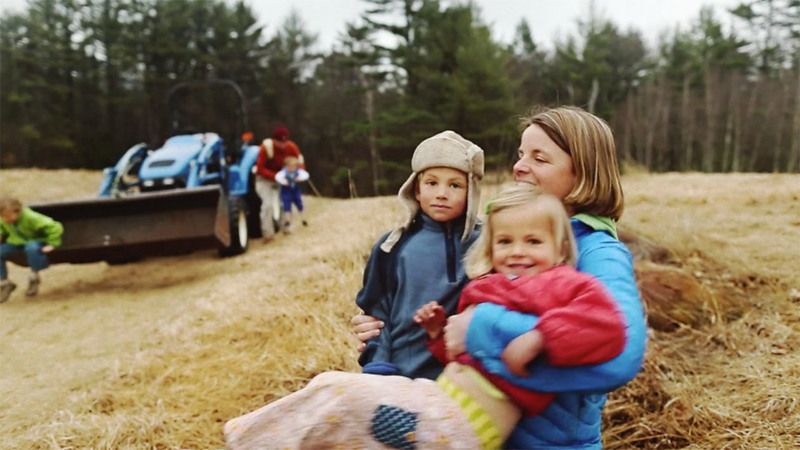 This isn’t pushing sustainable models for distributing soft drinks or toilet rolls, this is saving the earth so that people can still enjoy it – albeit while wearing Patagonia gear. No matter how cynically you look at it, Patagonia is fundamentally doing a good thing, even if it is gaining commercially from it. Obviously this whole idea also rests very heavily on your product being good enough quality that you can stand by your claims and people will believer you. Enter our brand advocates. 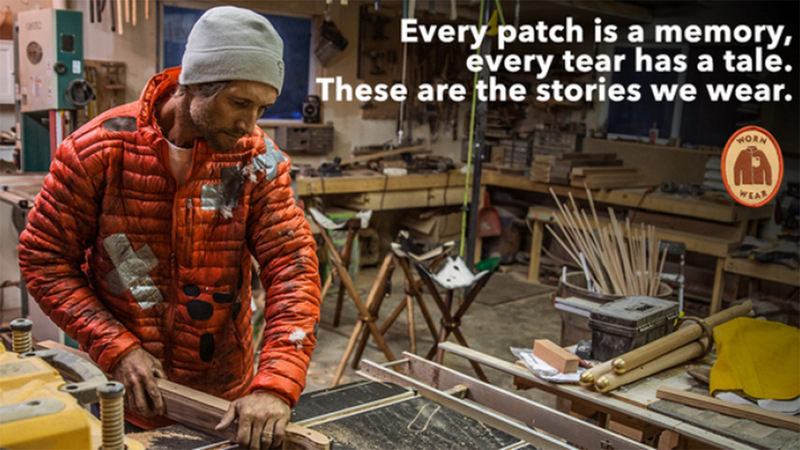 There’s nothing new about turning your customers into advocates, we all know the best way to showcase your brand is through the real stories from owners of Patagonia gear. The people in ‘Worn Wear’ are superb, as far as brand advocacy and brand champions go, you couldn’t have scripted it better. They display genuine emotion and affection for the items of clothing and the adventures they’ve had in them. The film demonstrates this brilliantly and with authenticity. We can see for ourselves that these products really do stand the test of time – some are “33 years old and still going strong”. For any brand that’s just a very powerful message. Strategy aside this is also a really beautiful piece of storytelling. The film’s artistry is superb, being an outdoorsy company it’s full of rich, colourful and breathtaking scenery. It splices old footage and new footage together seemlessly to tell the stories of the items continuing to build a collection of sweeping shots of the landscapes and lands where these people play. The film’s tone is warm, engaging, entertaining, and very, very authentic. The characters are real and genuine and this shines through loud and clear, there is nothing forced or staged. The music choices are wonderful and help give the film a real sense of home and belonging. Patagonia are a brand that has excelled in the space of branded arts, when brands were first getting their heads around content they launched their blog called ‘The Cleanest Line’ which focuses on the environment and the sports people do in them, such as climbing, hiking etc as well as showcasing the adventures there products can help you take, rather than focusing on the products. I personally think this film is another stand out execution from a brand that really truly understands its audience as well as its place in the world. I think Patagonia has absolutely nailed this. The strategy and artistry of this piece is superb and dare I say near perfect.